Can be used in conjunction with an electrolyte replacer. 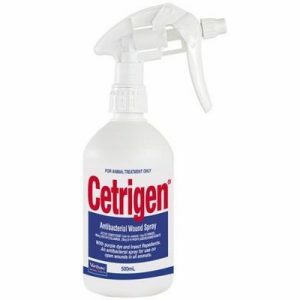 Water intake is vital for maintaining the health and well-being of all horses. When water intake is less than adequate, horses are at risk of dehydration, particularly if exercising or travelling. KER Drink-Up™ is a highly palatable blend designed to encourage horses to drink water. Drink-Up is a scientifically formulated, complex combination of ingredients which work together to increase a horse’s willingness to drink. Encouraging your horse to drink when traveling, competing, or during an illness is crucial in preventing dehydration and associated problems. DRINK-UP is an essential tool for encouraging your horse to drink to the bottom of the bucket. Research has shown that 90% of horses increased water intake with Drink-Up. Scientifically formulated, highly palatable, complex combination of ingredients. 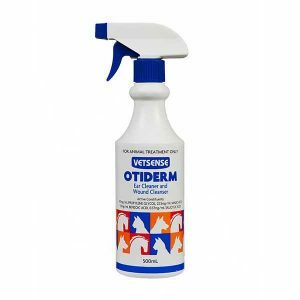 Increases horse’s acceptance of water and therefore aids in the prevention of dehydration*. Flavoured to further encourage horses to drink. Contains KER Restore™ to help stimulate thirst*. Comes in easy, ready-to-use 80g sachets. 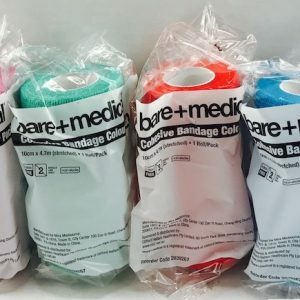 Formulated and produced in Australia. 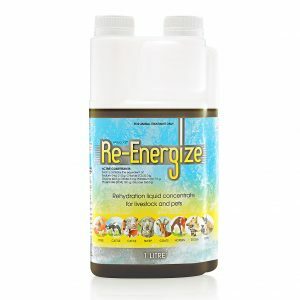 * Note: While DRINK-UP contains RESTORE, it doesn’t replace the need for an electrolyte for horses that sweat. For horses that are ill, refuse to drink or in cases of severe or moderate dehydration, please seek veterinary advice. 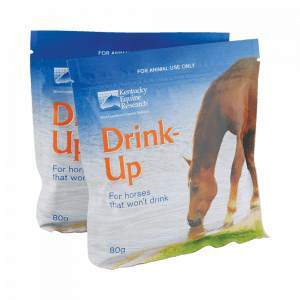 Drink-Up is a scientifically formulated blend containing floating, sinking and water flavouring ingredients which when combined encourages horses to drink to the bottom of their bucket! As well as chasing the floating ingredients, Drink-Up contains KER Restore which helps stimulate the thirst response, encouraging your horse to drink every drop! Can I just add a handful of grain to a bucket of water and get the same result? Drink-Up has been scientifically developed to be more than a handful of grain! After extensive trials, this combination of ingredients, including natural flavouring and inclusion of KER Restore has proven itself to increase water intake more than any other combination. Is Drink-Up safe for my horse with insulin resistance or laminitis? While Drink-Up does contain a small amount of grain and molasses, it is safe for most horses. If you have any concerns about using Drink-Up, KER recommends that you contact your veterinarian for advice. Is Drink-Up going to change my horse’s behaviour? While Drink-Up contains a small amount of grain, there is no evidence to suggest that it will change your horse’s behaviour. The amount of grain is unlikely to result in a rise in blood glucose which is often associated with hyperactive behaviour. Drink-Up can be used at home, whilst travelling or during competition. Empty one 80g sachet of Drink-Up into 5 litres of clean, fresh water and stir to enhance flavour. Offer immediately or wait for 30 minutes to further enhance flavour. For very fussy horses, familiarise them with DRINK-UP at home and encourage them to try the water by scooping the product from the bottom of the bucket and offering it to them. Grain, KER Restore, Molasses, Salt, Natural Flavour, Propionic Acid.